They might be sisters, not twins, but my kids somehow share the same passion for many things in life. Today, I'm sharing about two of their loves. One, they both adore animals. Not just cute, furry, docile animals, but even the wild, untamed and mammoth ones are well-liked by them. 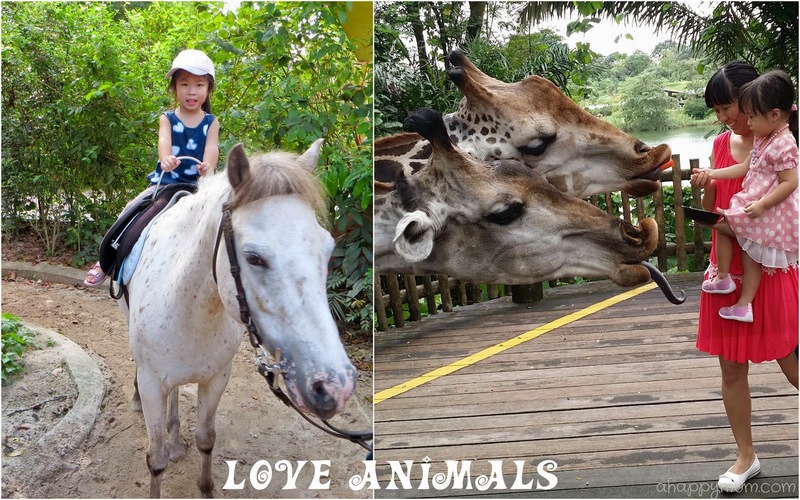 I guess that is a compelling reason why the Singapore Zoo, Night Safari and River Safari are some of our favourite hangouts in Singapore. Two, they both love to run. You probably know by now that Angel loves to participate in races and so far, we have done three parent-and-child runs with her. Even though she still can't take part in competitive races given her age, there is an indescribable sense of accomplishment when she reaches the finishing line. 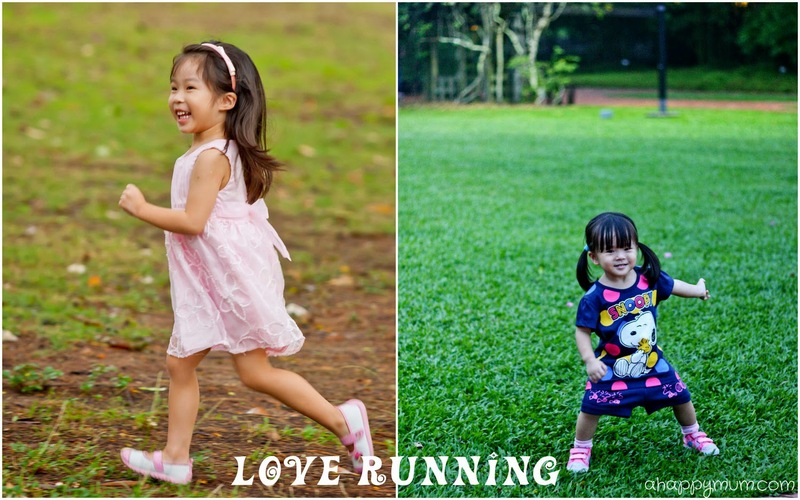 This love for running is also evident in Ariel nowadays, who can run for a dozen rounds around the playground, likes to jog in the park and loves playing catching with her sister. Imagine how awesome it would be to have an family-friendly event that combines both of these loves? Yes, I'm talking about running along winding paths while being able to admire nature and wildlife, which is going to be made possible only in the SAFARI ZOO RUN 2015! 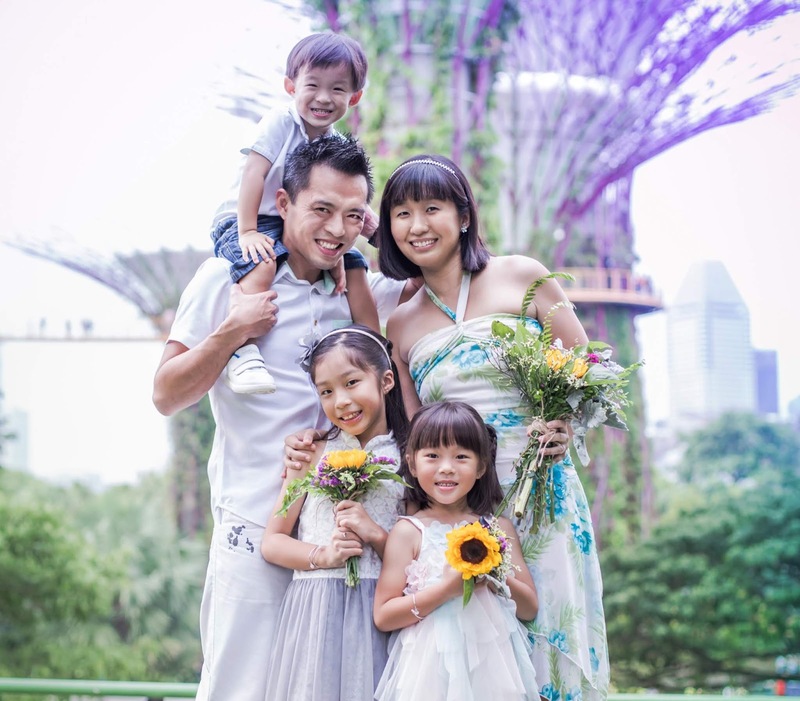 The Safari Zoo Run was conceived to commemorate Singapore Zoo’s famous matriarch and one of Singapore’s most adored personalities — Ah Meng the Sumatran orang utan, who died of old age in February 2008. For the first time in its seven-year history, it is going to be an even wilder affair with activities spread across two days. Competitive runners will be racing on 7 February while 8 February will be the fun run where the runners will also get the opportunity to participate in a ‘Best Dressed Runner’ contest and enjoy a host of carnival festivities including animal awareness booths, game stations, magic shows and animal photography sessions. Now, if you are not into competitive racing or if your kids are below the age of 13, then 8 Feb is where the fun begins for your family. You can participate in the Safari Zoo Fun Run (6km), let your child become the Nestle Koko Krunch Fastest Kid (2.8km) or run as Parent & Child (2.8km). For us, since the longest run Angel and I did previously was 1.6km, we decided that this time, we will try out the Parent & Child Run which will last for 2.8km. Yes, 2.8km! That is longer than the 2.4km I did in school and the husband has already predicted that I will be so worn out by the time I finish that I will not have energy to visit the Zoo. Oh well, let's see if I can prove him wrong! Wait, so why is the hubby not running with Angel? Well, partly because I volunteered so that I could have some one-on-one time with the big girl, and partly because I thought it would do him good to have some alone time with the little one too. No, they are not just going to stand by the sideline and watch like they always do, because guess what, there is a Stroller Walk (2.8km) to cater to toddlers below three and I can already imagine how ecstatic Ariel will be to take part! *Note that race participation for children below three years old is free and there will not be any runner's entitlement. 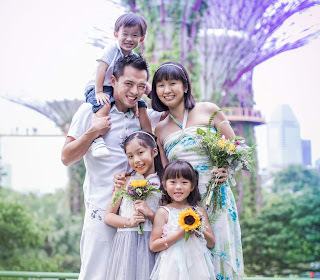 So, our plan is to enjoy the morning run with the kids, check out the carnival, then visit our animal friends in River Safari during the afternoon and finally, end the day with some splashing fun at the Zoo in KidzWorld. You know what that sounds to me? A WHOLE DAY OF FUN. 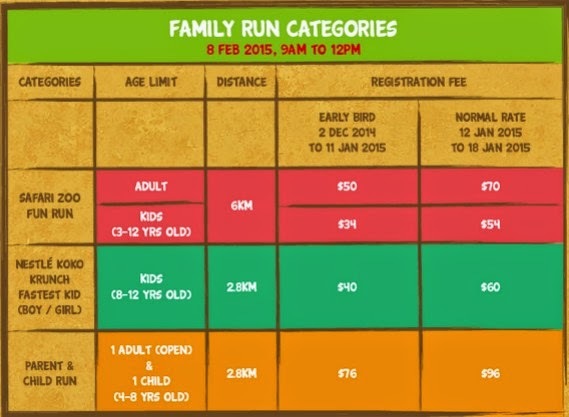 For those who are keen on the Safari Zoo Run, you can visit www.safarizoorun.com.sg for more details. Early bird rate ends on 11 January 2359hrs so do make your booking soonest. Do also note that part of the proceeds from the Safari Zoo Run will go towards the care of threatened animals at Night Safari and Singapore Zoo. Now, good news for A Happy Mum readers! I can't miss out on the chance to share goodies with you so I am giving away 2 SETS of 2A2C Family Fun Run Packages (each worth $232) to two lucky readers! This giveaway is open to all readers residing in Singapore only. 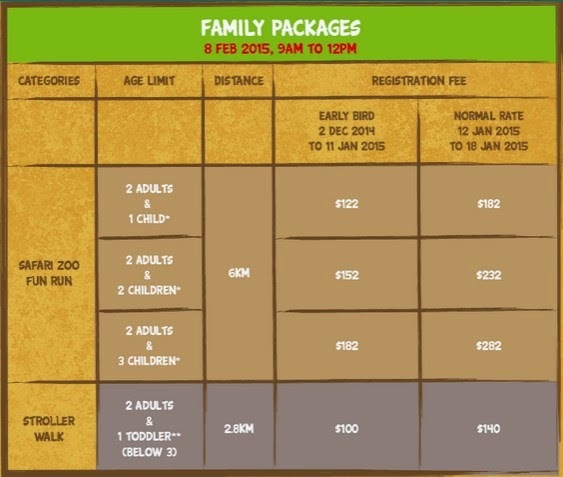 This package is intended for 2 adults and 2 children (aged 3-12) to take part in the Family Fun Run (6km). If you like to join the Parent & Child Run (2.8km) or Stroller Walk (2.8km) instead, please note that this is subject to availability and will be handled on a case-by-case basis. It is mandatory for the winners (and myself too) to collect the race entry packs on 24-25 Jan (11am-7pm) at Orchard Central. To participate, leave a comment in this blog post with your name and email address. Indicate in the Rafflecopter widget that you have done so and to increase your chances of winning, you can choose to carry out the rest of the options. Good luck and hope to see you there! 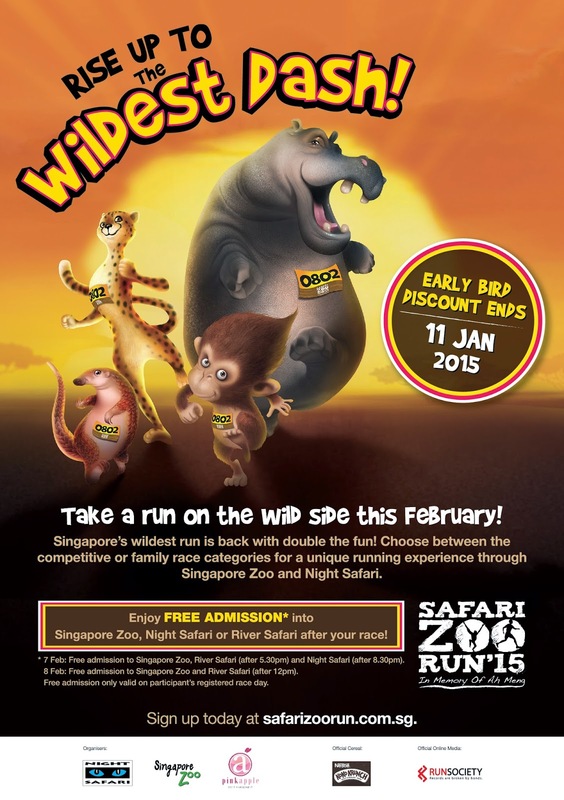 Disclosure: We were invited by Wildlife Reserves Singapore to participate in Safari Zoo Run 2015 and receive complimentary entries to the run. All opinions are my own. Hope to win this for my three sons! Thank you for the chance and hope that we will win ! Hope to bring my girl for her first run! Hope to bring my family for a run with the animals. It will be an awesome experience. It will be our 1st FAMILY RUN with the kids (and the animals) if we win :) How fun!!! Summer, thanks for hosting this giveaway! Summer, hope I get to win..
Hope to have a good bonding session with my daughter in the Family fun run!